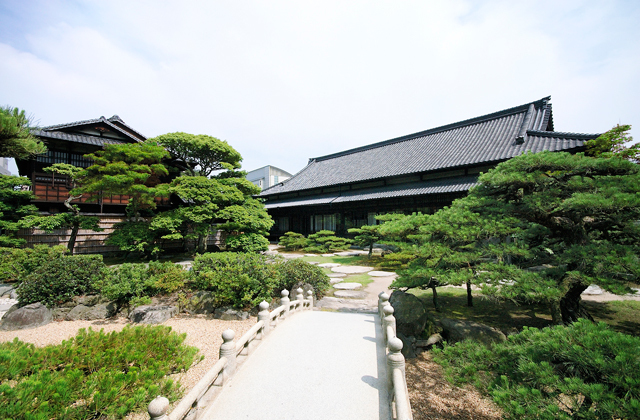 “Sanuki” is a treasure trove of history and Japanese culture. Spending time at a historic place is enjoyable, too. 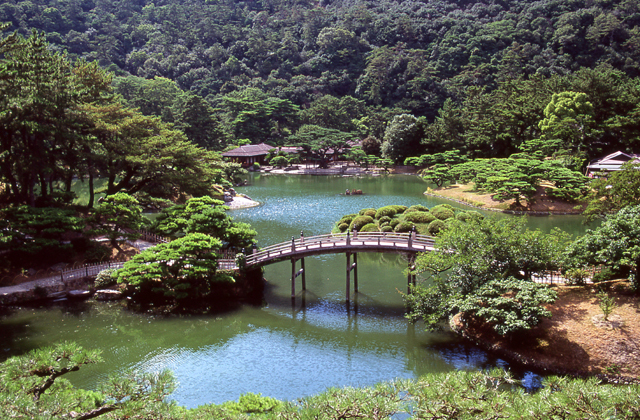 It is one of Japan’s foremost Daimyo Gardens and very popular for the refined rides in Japanese-style boats. 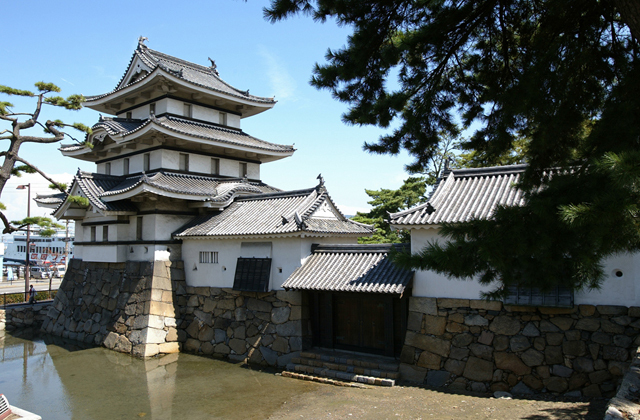 Being one of Japan’s three Great Water Castles, Tamano Park (Remains of Takamatsu Castle) features moats which draw directly from the sea and welcomes visitors as a famous cherry blossom viewing spot in spring. The large garden boasts beauty in all four seasons. 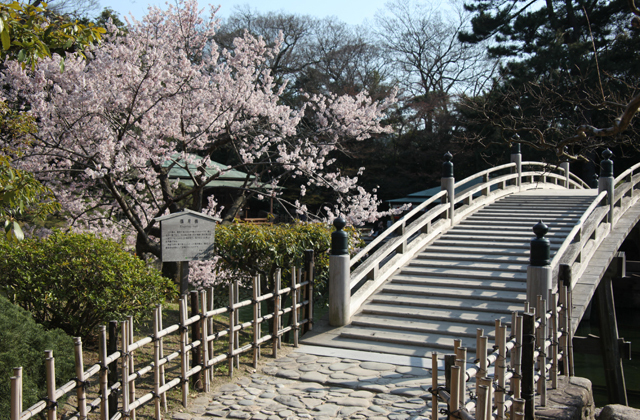 The south garden features a path around a pond, while in the north garden, the atmosphere of a modern garden from the Meiji Period can be felt. In addition, visitors can enjoy green tea in the teahouse. Next to the East Gate, there is the “Kagawa Bussankan Ritsurin-an”, where visitors can buy specialties from the Kagawa Prefecture. 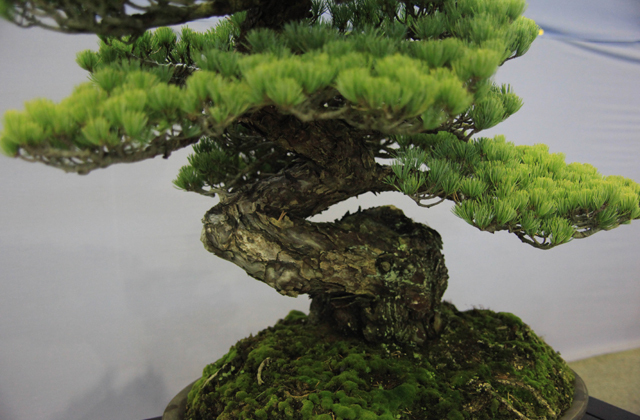 In addition to their beautiful shape, the pines cultivated in sandy loam with good water drainage enjoy a reputation as “having roots which are resistant to decay and being robust”. 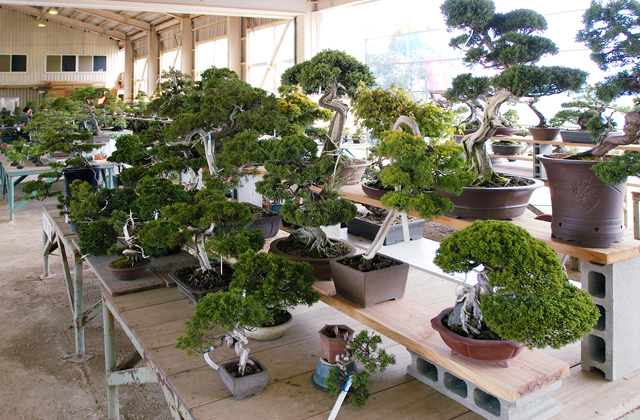 With the Bonsai-boom abroad, especially in Europe, export to the West and Asia is flourishing.